Alaska House members failed to agree on a speaker on the 21st day of the session, but lawmakers are talking about a plan to share power. On Monday, House members split 20-20 for the second time on whether to name Republican Dave Talerico of Healy as the speaker. Kenai Rep. Gary Knopp was one of three Republicans to vote against Talerico. He said Talerico would make a “perfect” speaker, and that he could vote for him in the future. But Knopp doesn’t want to form an all-Republican majority, because he believes it wouldn’t function. “We have to organize the House in a manner that has some success potential, and we haven’t done that yet,” Knopp said on the House floor. Representatives have been talking about different possibilities for sharing power. Anchorage Democratic Rep. Chris Tuck said there could be co-speakers, alternating speakers, or a speaker who must seek approval from both caucuses before taking action. Tuck would like to see at least 30 House members participate in a power-sharing arrangement. The House adjourned until Tuesday. It’s still possible that the House won’t agree on a speaker until after Gov. Michael Dunleavy introduces his revised budget on Feb. 13. Without a speaker, the House can’t form committees or consider legislation. While no action occurred in the House, the Senate Finance subcommittees began meeting in preparation for the budget. Two of the subcommittees will be shared by minority-caucus Democrats, a departure from standard practice. 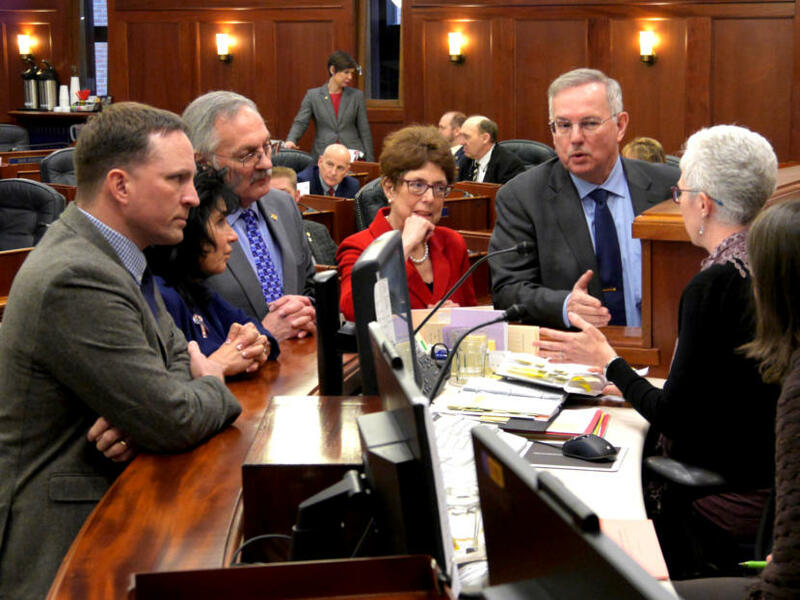 Sitka Republican Sen. Bert Stedman, the Senate Finance Committee co-chairman, said he’ll allow the Democrats to fully participate in the committee’s work. The subcommittees are discussing the history of the budget, as well as department goals this week.